Inside the Patagonia Outlet in Dillon, Montana. The outdoor clothing company Patagonia announced this Friday that it’s endorsing Montana Democratic Senator Jon Tester’s re-election campaign. That may not be surprising for people familiar with the company, but campaign finance experts say it could be a first. “It may be the first time that a for-profit corporation has come out with an endorsement on their website for political candidates,” said Peter Quist, the research director at the National Institute on Money in Politics in Helena. “That’s difficult to verify for certain, because there isn’t a comprehensive database for that, but it’s the first one that we’re aware of,” Quist said. Patagonia also endorsed Nevada Democrat Jacky Rosen in that state’s Senate race. Quist says that prior to the Supreme Court’s 2010 Citizens United decision, this kind of direct corporate funding for political candidates would have been illegal. “What they would typically do would be to set up a political action committee that would be funded by individual employees of the corporation, usually executives, and then that political action committee could then be active in those campaigns,” Quist said. Marcario says that while Patagonia has never endorsed specific candidates before, it started supporting activists and organizations that preserve public lands, waters and biodiversity 46 years ago. “Our reason for existence is protecting these wild places,” Marcario said. Patagonia, which has an outlet store in Dillon, is also a for-profit company, and conventional wisdom in the corporate world is that taking political stands is risky, because it could alienate customers, or turn off potential new customers. “Yeah, I think that’s the conventional wisdom, but I don’t think we’re a conventional company by any means,” Marcario said. 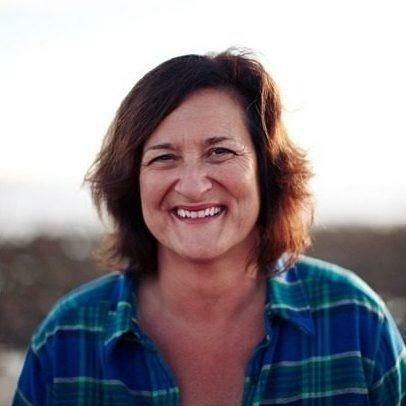 Marcario says Patagonia is endorsing Senator Tester, and Nevada’s Jacky Rosen, to let people know that those candidates share the company’s values when it comes to protecting public lands. “Most Americans have busy lives and they don’t have time to stay up on all these issues, and they count on Patagonia to give them a perspective on it, and that’s what we try to do as a service to our customers,” Marcario said. Patagonia made a big splash last year when it went after the Trump administration for rolling back protections on Bears Ears National Monument in Utah. It expressed opposition on its web page, and ran its first ever television ad. The company gave more than a million dollars to groups working to protect Bears Ears, and spent another million-plus on marketing to raise awareness for protection efforts. Marcario says Patagonia didn’t do that to boost sales of their products, but that did happen. “It was in the triple digits,” Marcario said. Marcario emphasizes that the whole reason Patagonia’s founder Yvon Choinard started the company was to protect the wild places he and his customers enjoy. And she says that’s what’s behind the company’s endorsements of Rosen and Tester. “Jon has been a real public lands champion if you look at his record—the Blackfoot Clearwater Stewardship project, to proposed expansions of Bob Marshall, Mission Mountain and Scapegoat Wilderness areas- he’s a fighter for public lands and his record shows it and it’s important that people understand the distinction, I think, especially now,” Marcario said. Marcario said Patagonia is putting materials in its retail stores letting customers know about its candidate endorsements, and has educated retail employees on how to engage with the public about them. Internet users in Montana and Nevada will also see the endorsements if they visit the company’s web page, and messages are going out to people on Patagonia’s email lists. A company spokesperson said it’s too early to tell exactly how much Patagonia will spend advertising its endorsements for Rosen and Tester, and that this is the first time the company will need to file federal campaign finance reports about its political activities.